Bridle Path is renowned for being the most exclusive residential neighborhood in Toronto which hosts large multimillion-dollar mansions and luxury villas. This is the district which welcomes ones of the richest inhabitants of Canada. Referred as "Millionaires Rows", Bridle Path is an exclusive enclave surrounded by the Don River Valley and lush parks. The secluded district is home to upscale boutiques, posh clubs and prestigious schools. The residents of Bridle Path enjoy a luxurious setting and proximity to downtown Toronto but mainly seclusion and privacy. Since the Canadian government has voted a tax for foreign investors, it seems that the real estate market in Toronto has been slowing down. However, this phenomenon was wishing as the government had taken measures to limit price hike. There are more houses to sell and their prices are less expensive, which is a nice news for investors. All these elements allow to create a better offer for the real estate market and an price annual growth more moderated. The period from November to April is the coldest one and is characterized by a lot of wind and snow. February is the coldest month of the year. However, Toronto is worth visiting in winter. If you do not fear cold temperatures, you will discover a magic city. In December, the city has been organizing for over 45 years the Cavalcade of Lights, an renowned event that celebrates Christmas vacations with live concerts, tinsels, Christmas tree lighting ceremony and stunning firework shows. During this period, prices are cheaper and there are fewer tourists to admire this stunning city. From May to October, this is the rainy period but it also corresponds to the tourist season. It is characterized by pedestrian markets and numerous cultural activities and international events and shows. It is the a nice compromise to visit Toronto as the weather is enjoyable, prices are affordable and there are few tourists. From July to September, Toronto welcomes crowds of tourists who come admiring the city and attend its countless events. Therefore, prices are more expensive but the city is very dynamic and hosts the festival season. During this period, the weather is the most pleasant one with nice temperatures and sunny days. Edwards Gardens is a botanical garden which offers beauty and nature all year long. It will seduce any nature and garden lovers while providing perfect trails to go strolling. Spring and summer are characterized by cheerful displays of flowers while fall provides large range of colours and breathtaking landscapes due to bright yellows, oranges and reds mixed. Winter offers the subtle beauty of snow-covered landscapes in a cosy atmosphere. 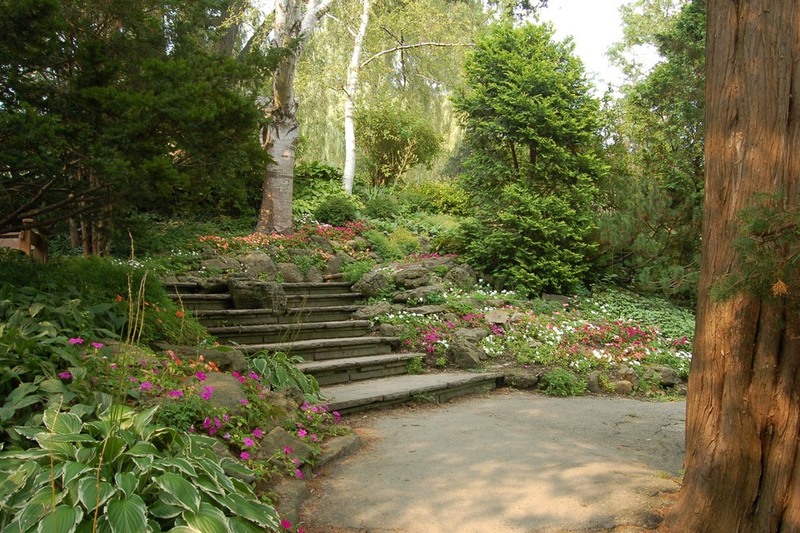 The site is adjacent to the Toronto Botanical Garden, which features perennials and roses as well as wildflowers. 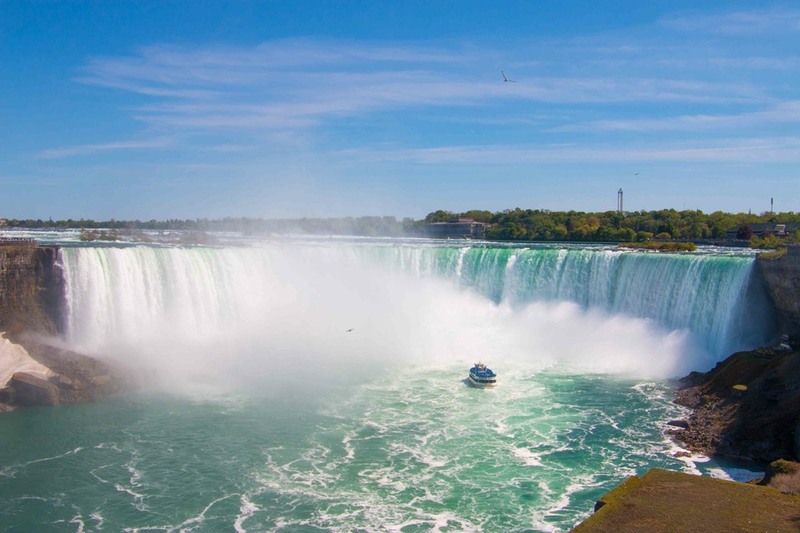 The famous Niagara Falls are situated around one and a half hour drive from Toronto and are a must-see attraction when you visit the city. Admiring the falls is a unique experience, particularly impressive, at all times of day and night. Beautiful, giant, vertiginous and sometimes considered as the Eighth Wonder of the World, they represent the strength of nature and form a natural frontier between Canada and the United States. Easily accessible, they attract over 15 million visitors every year. For even more excitement, you can approach them by boat, in order to be only few meters away from them! 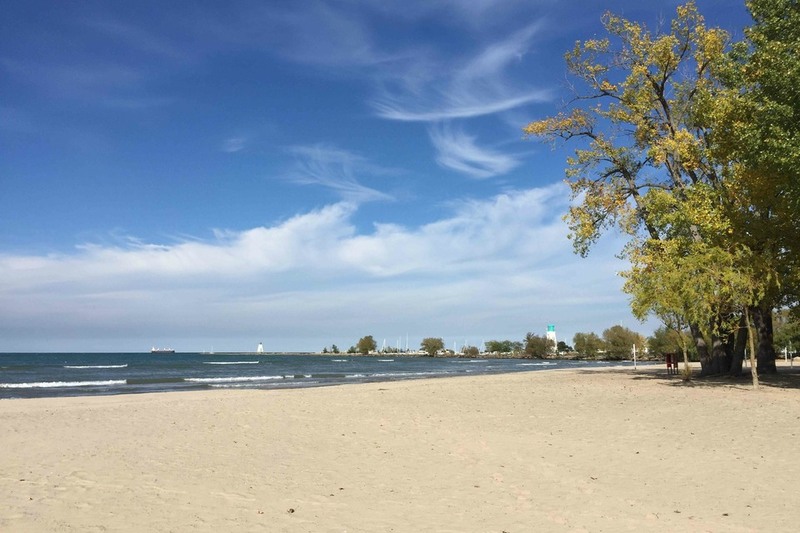 Downtown Toronto, the Beach Village offers a lakeside stroll along the beautiful Lake Ontario for 3 kilometers as well as parks and lakeside attractions. In summer, this nice place provides movie nights in stunning parks for free admission and free popcorn. Experience this unique event with your friends and family.